In all seriousness, I wonder just how hungry the person was who first decided he, or she, would eat one of these little delights. How hungry would you have to be? The name alone is a bit off-putting: Crawdad. Perhaps you’d consider trying something called a freshwater lobster, but how about a well-seasoned yabbie, or a crawfish? Would you try a crayfish? How about a crawldad? These are all just different names for what is most commonly referred to in Texas as a mudbug. If you are from Louisiana, or pretty much any other southern state, your mouth is probably watering right now; you know it is the season for these tasty morsels, and the season is short. Therefore, you gotta get ‘em while you can, because they will soon be gone. It’s time to grab a friend, find a place where they know what they’re doing, and order up about three pounds each. Trust me, after that, it’s really not a pretty sight; there’s a lot of shell cracking, meat pulling, juice slurping, finger licking, and scrap tossing for the next half hour or so. Be warned, you don’t want to sit too close to a mudbug fan enjoying lunch; and you might want to bring an extra shirt just in case. All that said, they are quite tasty, even though they are a bit messy. But about my original question: who ate the first mudbug, and how hungry did he, or she, have to be to think, “This looks tasty!” There probably were no potatoes, corn, onion, sausage, or seasonings on it either, just a critter coming out of the mud. Perhaps it didn’t happen that way, but in my imagination it did, because I can’t think of a single reason to try a crawdad/mudbug for the very first time apart from near starvation. And, some of us think that way about the Word of God – things must be really dire before we turn to it. How spiritually hungry must we be before we open the Bible, read, and digest the Word of God? Why is it that some of us find reading the Bible so difficult? Why is it that it seems, or sounds, so unappealing? I can think of a bucket load of reasons, as I’m sure you can, because, well, there was a day when I used them all. It’s too hard to understand. It’s written in a language I don’t use. It’s not relevant. It’s full of parables with hidden meanings I can’t figure out. I don’t know where to look. It’s mean and full of thou shalt nots… it doesn’t sound appetizing. And on and on. The Bible may as well have been covered with a heavy shell that I just couldn’t crack open, and truth be told, I was not really hungry enough to work to find the meat. I mean, I could snack on as much religiosity as I thought I needed (and surely all I wanted at the time) from family, friends, and going to church. But, the Lord knew my need, and what I needed to get hungry: the equivalent of a very cold winter. A personal crisis arose and I was hurtling through a torrent of despair, pain, and heartache. Confusion and questions were my constant companions, and I knew I was starving for truth. The tidbits my regular go-to quick-fix philosophic resources provided no longer fed my hungry spirit. I needed real food. I needed God’s Word. Amazingly, when I surrendered myself to God, and opened his Word, it fed my starving self like nothing else ever could. I found water in the desert. I found the banquet, the feast, the never-ending buffet of truth, mercy, and grace that filled my heart and satisfied my soul. Yes, this old book, this obsolete collection of stories, this hidden gem brought out into the spring sunlight of my soul proved to be the tastiest, most satisfying food I could ever have hoped for. Why hadn’t I tried it sooner? What about you? Are you hungry? Or are you trying to satisfy your desire for the meat of the gospel by snacking on a tidbit here and there? Have you ever hungered for the Word of God? Have you ever craved it? Why not? Can you identify with the Psalmist who cries out, “Like the deer pants for streams of water, so my soul pants for you, my God.” If not, why not? Are you satisfied with a sip of spirituality, of feel-good theology, of comfortably controlled input? Do you hunger and thirst for righteousness? If not, why not? Does your own goodness satisfy you? Are you content with where your heart has led you? Will it require a crisis before you desire to dig deep into God’s Word and search for the great feast he has prepared for you? Will you taste and see that the Lord is good. Some may say you haven’t lived until you’ve tasted a well prepared mudbug. I say you haven’t lived until you’ve feasted on the Word of God! People do not live by bread alone, but by every word that comes from the mouth of God. God has prepared a banquet for you, will you open his Word today and let it fill you as you devour every word. 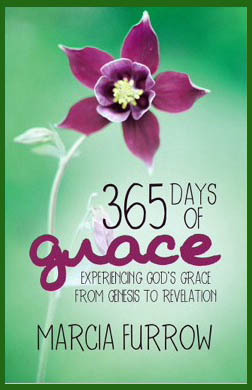 Marcia, I loved reading your devotional blog! Yes, I have eaten a Crawdad but if I knew the other name was “mudbug” I wouldn’t have tried it. We were invited to our next door neighbors house in Georgetown, TX and they invited us over for a meal. They are small and it takes a lot of work to get full. But I’m with you Marcia, I’d rather feast on the Word of God any day!